How to tell a brand story that leaves audiences asking for more. Why are brand stories important, and what does a good one look like? Today’s consumers know when they’re being sold to, and for the most part it’s a turnoff. Instead of being force-fed an advertisement, they want to be entertained. 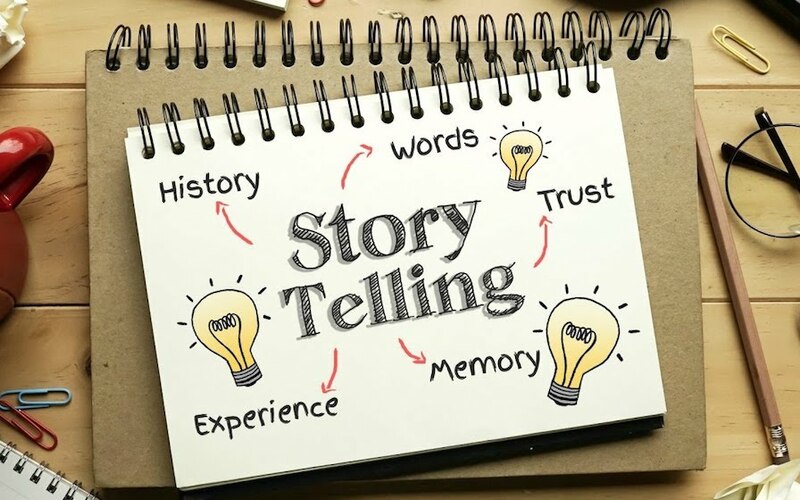 Engaging in active brand storytelling achieves a far stronger relationship with consumers – and staff – than an ad ever could. Without a relatable story that people want to listen to, your brand becomes just another replaceable product or service. But creating your brand story isn’t just about differentiating yourself from competitors. It’s about creating something that people can buy into. It’s the thing that leads people to walk an extra five blocks or pay twice as much to get a sandwich from Burger King instead of McDonald’s. You have to make people care about your brand. Yes, it’s time-consuming. And, yes, it’s difficult. But a successful brand story is one of the greatest advantages your business can hold. First and foremost, your brand story should identify the guiding purpose or passion of your organization. This, in turn, will shape all future messaging and content developments. While your guiding purpose can be anything, so long as you have the requisite passion, there are a few common themes brands routinely hit on. One tactic is to directly address a problem or scenario with which a majority of people can connect. Take Airbnb, for example. For many people, traveling is a hassle. You’re stuck in a public, often cold or detached hotel unit that provides more or less the same experience regardless of where you’re staying. Most people can’t wait until they get home. Airbnb’s brand story: Welcome home. Airbnb has developed its story to combat this perceived market problem with unique travel accommodations that provide a homey feel. Its entire story, from pictures and videos to testimonials, is about building the at-home experience on the go. Another popular tactic that brands fall back on is building a story that focuses on doing more for the social good. While this is admirable, make sure that the social effort you tie your brand to is relevant and your support is meaningful. A brand that adopts this idea particularly well is Yoobi. 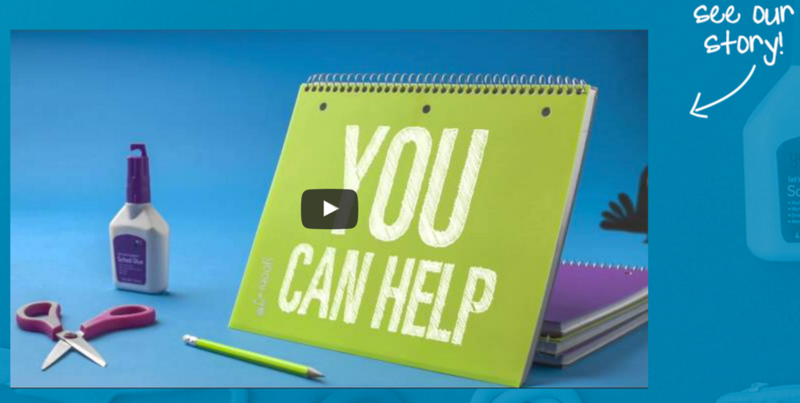 Yoobi sells colorful school and office supplies while supporting a simple brand story: One for you, one for me. For every purchase, the company donates the same number of supplies to U.S. schools in need. Succinct, direct, and on brand. Connecting with your audience on a non-commercial level is the first step to building trust and, hopefully, an eventual relationship. So, how do you hone your storytelling and brand building approach? Clarity & Consistency. If the message is unclear, changes often, or is overly complex, consumers will lose interest. Don’t try to be “everything to everyone” – settle on a core and run with it. Style guides and usage manuals help maintain consistency when multiple team members are working on the brand. Start Inside & Work Out. Ensure that everyone inside your organization understands the message and is onboard before attempting to translate it externally. Employees will ultimately be responsible for consumers’ experiences with the brand story, and as such require clear messaging and directives. Let Your Personality Shine Through. It’s important to remember that since brand stories are not ads or direct marketing materials, they require a personality to provide substance and relatability. Brand personas are able to develop relationships with consumers much in the way a friend would. Don’t Forget Structure. As a story, people will still expect a beginning, middle, and end. In the beginning, explain the issue your brand addresses. In the middle, show how you solved the issue. At the end, use the success as a driver for continued interaction/engagement. The steps we’ve laid out offer a great start to building your own brand story. Always keep in mind that any story should be clear, relatable, and believable for the consumer. Once your brand story is crafted, the work has only begun. Building your brand, remaining active on social media and in consumer communities, and encouraging consumers to tell your story will keep your team busy well into the maturity of your organization. It’s a lot of work, which is why brands hire agencies, but it’s worth it.